My name is Kevin McDonnell and I'm your local therapist for Bark Busters Home Dog Training Torquay. I have been a Bark Buster for over 9 years... 5 years in Canada, and 4 years back here in the UK. I have lots of valuable knowledge and experience that I will share with you to help you overcome any dog behaviour issues, general dog obedience or puppy training needs you may have. 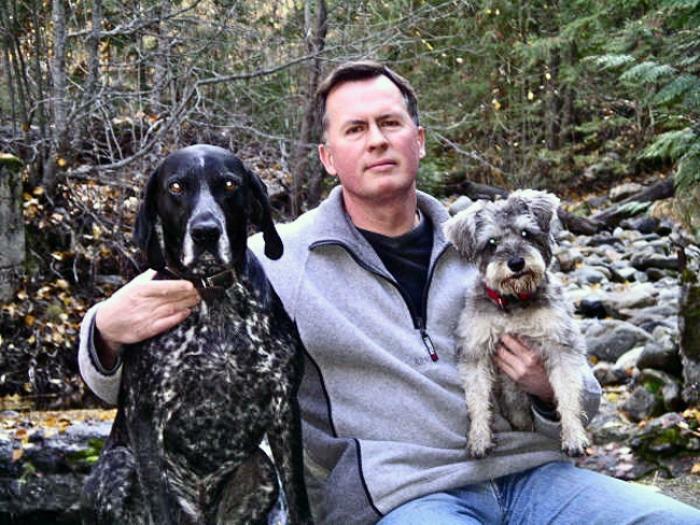 I decided to become a Bark Busters dog trainer because I love dogs and have always had dogs in my life. I had grown tired of the corporate environment where I worked and was ready for something new. 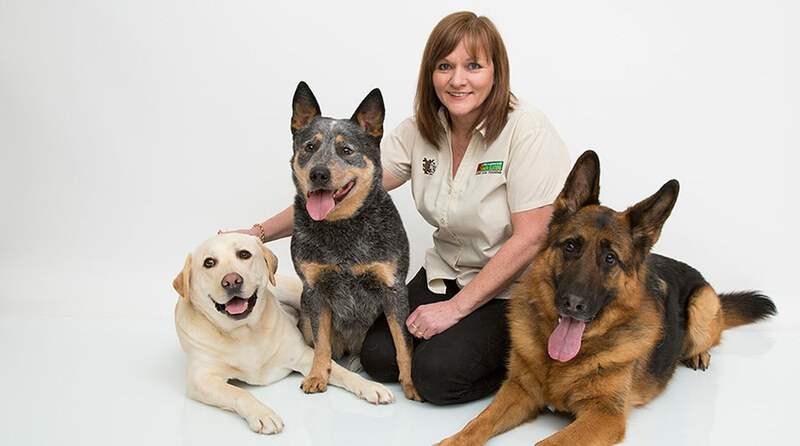 My new career was born when I discovered Bark Busters in Canada and went to see how the trainers worked and learnt about the ethos behind the dog training system they used. I was absolutely convinced that this simple, fast and effective system of communication was something I could use to help people who struggle or who try in vain to deal with their dog's behaviour problems. Whatever problems or issues you may be struggling with, I can help you. I have dealt with every problem imaginable over the years, including common problems such as barking, recall, pulling on the lead, separation anxiety, sibling rivalry, dog aggression, people aggression, destructive behaviours... the list goes on. My results speak for themselves, but are supported by the reviews, from dog owners in the Torquay area, that you can read here and the number of referrals I receive from vets and other animal professionals. The reason that my system of training will work for you is because it is based on canine communication. Once I have taught you how to communicate with your dog in a way he understands, and without frightening him or causing him any pain or discomfort, you will find that your dog listens to you because he understands what it is you want him to do or stop doing. In my experience, many of the behaviour problems arise because dogs don't have the confidence in their owner, or are receiving inconsistent instructions so don't understand what is expected of them. As with any training system, there does need to be some commitment from you to practise and to remain patient and consistent. However, many of my clients are amazed by the progress they achieve in our lesson and feel that they are armed with all the tools they need to move forward. Also, as the training is delivered in your home, both you and your dog are more relaxed and are learning these new skills together in your place of safety. The home training session will last around 3 hours. If that sounds like a long time, don't worry as it will pass really quickly and be enjoyable for both you and your dog. There will be lots of practical exercises for you both to do and lots of praise and encouragement. I can promise that, whilst you may be tired by the end of the session, you will not be bored! By the end of the lesson you will have a clear idea of how to proceed, but I will also leave you with written notes and guidance to help you to continue the good work. You can also be confident that, should you need any further help from me, my guarantee gives you the peace of mind that I am only a phone call away to support you for as long as you need me. I'm confident that I can help you rebuild your relationship with your dog. If you'd like to know more before you decide to book, you can be assured that, upon receipt of your enquiry, I will telephone you for a free, no-obligation chat about the issues you are struggling with. At that point it will be up to you to decide whether I am the right dog trainer and behaviour therapist for you, and whether you'd like to book a home visit. I look forward to meeting you very soon.